Hi! Hey! How was everyone’s holiday? Imma try and keep it short and sweet today because: hanging out with the fam + netflix and chilling + outdoor time is pretty much the priority right now. And I’m sure all your tummies are still full from the Thanksgiving food festivities so just even looking at a picture of food is the last thing you want to do right now. But maybe just take a peek at some pics of this sandwich? Oh man, guys, this sandwich! 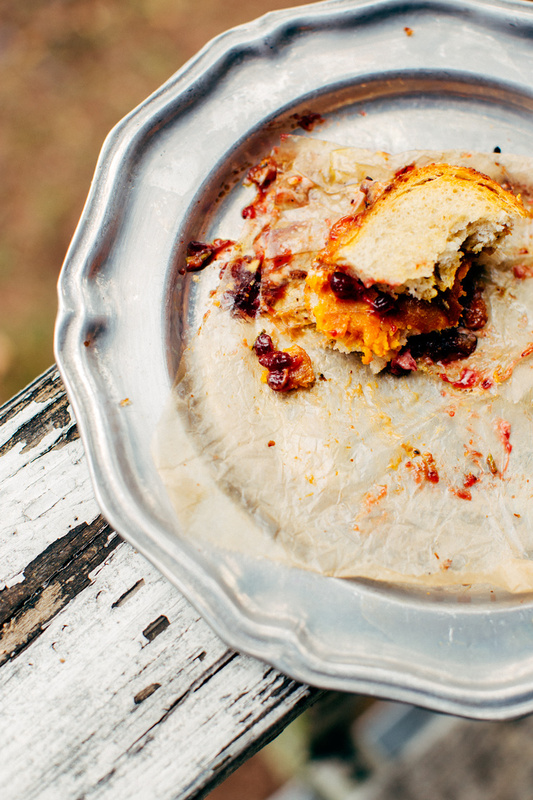 I don’t know about you, but my favorite part of Thanksgiving was always the day after sandwich anyway. 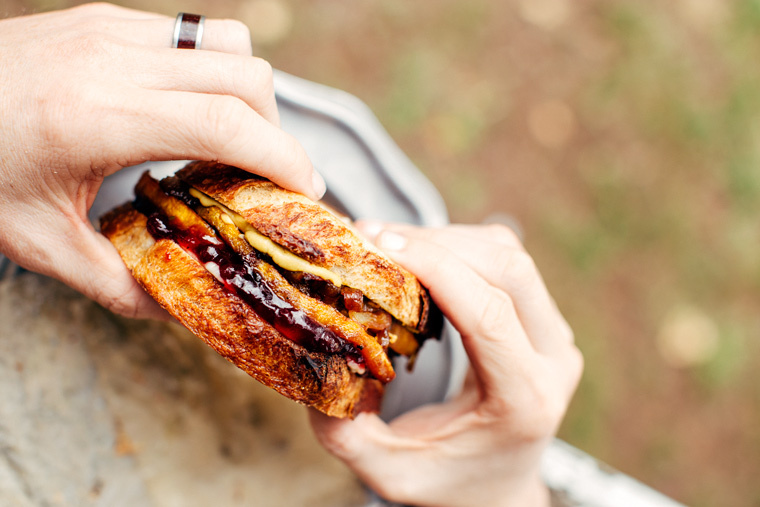 And this sandwich beats every old memory of eating leftover turkey by far! 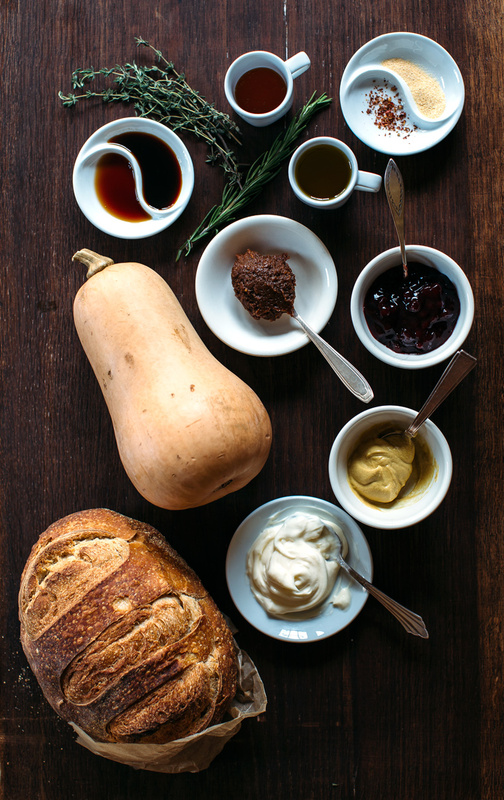 The butternut squash gets roasted with some fragrant fresh herbs – thyme and rosemary but first it gets a good rubdown of miso, tamari and liquid smoke (umami party!!). 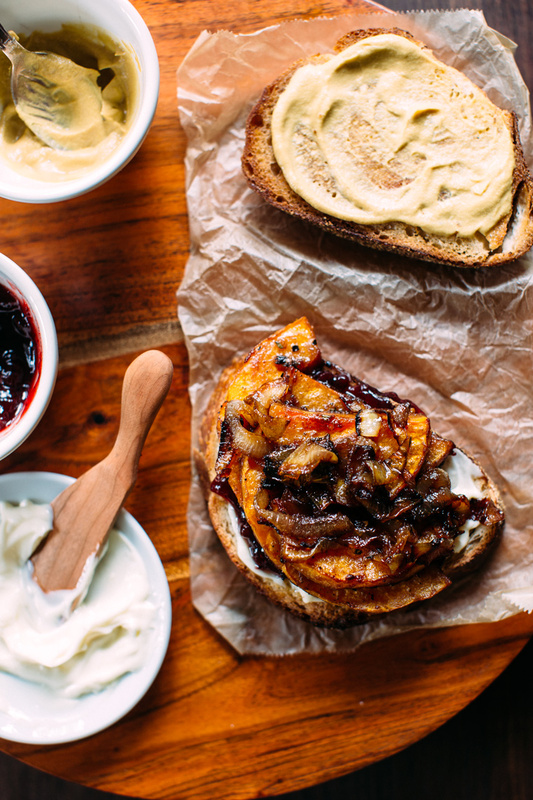 I had some leftover apple cider reduction from this dish and made a quickie version of this onion jam. 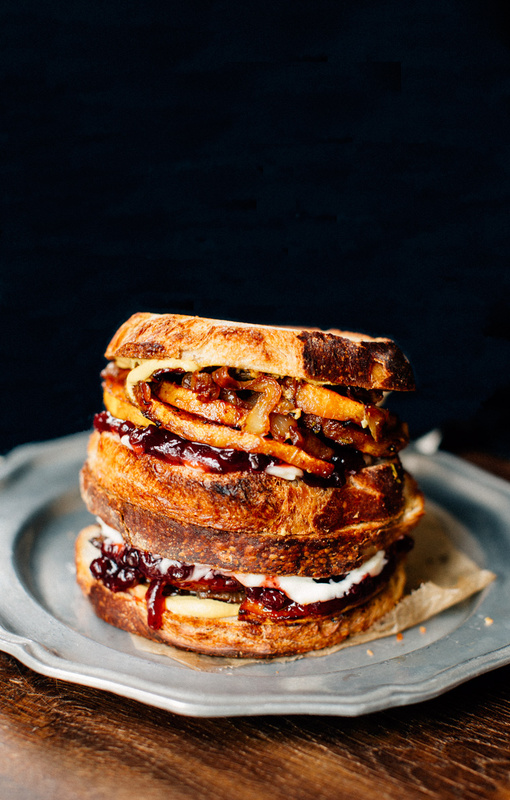 It all gets layered up like this: super savory roasted butternut squash, caramelized onions, cranberry sauce, mustard and mayo. Sandwich it all up between two layers of sourdough bread. Best. Thing. Ever. 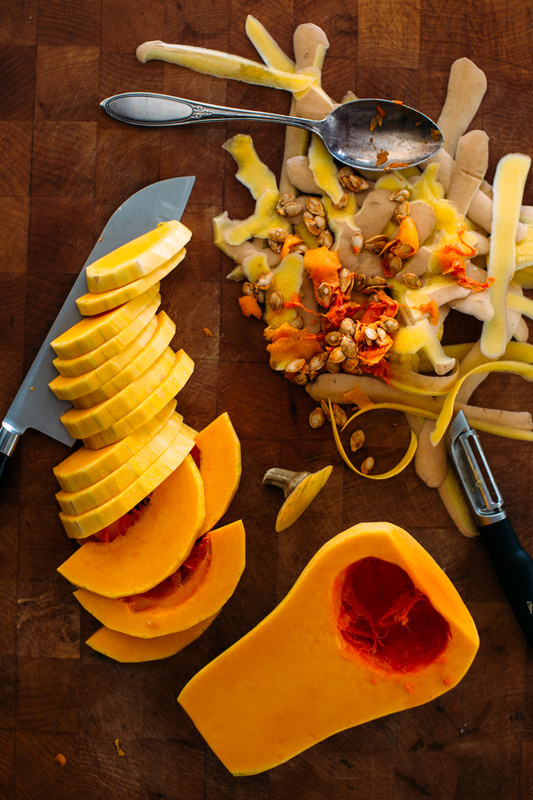 Peel and slice the butternut squash into half moons. Preheat oven to 400F. 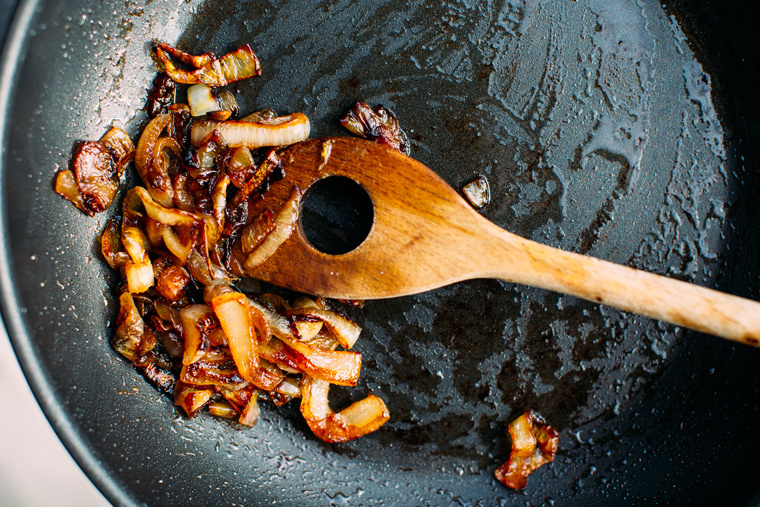 Combine all the seasonings and spices into a large bowl. 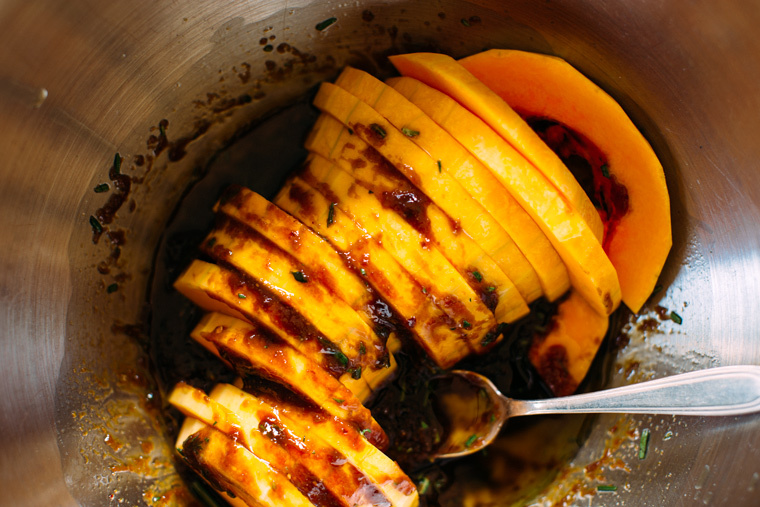 Rub the mixture onto the squash sliced to coat well. Place them on a parchment papered baking sheet and roast for 15 to 20 minutes or until tender and beginning to brown. 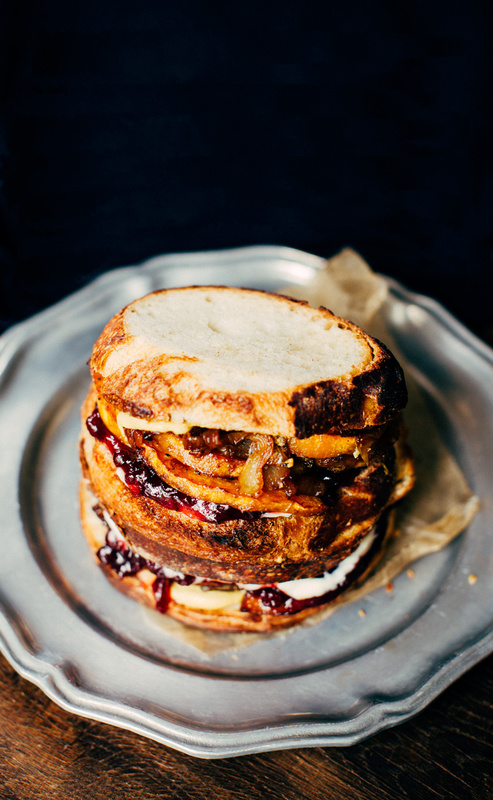 Oh yeah, this has to be the ultimate Thanksgiving sandwich! 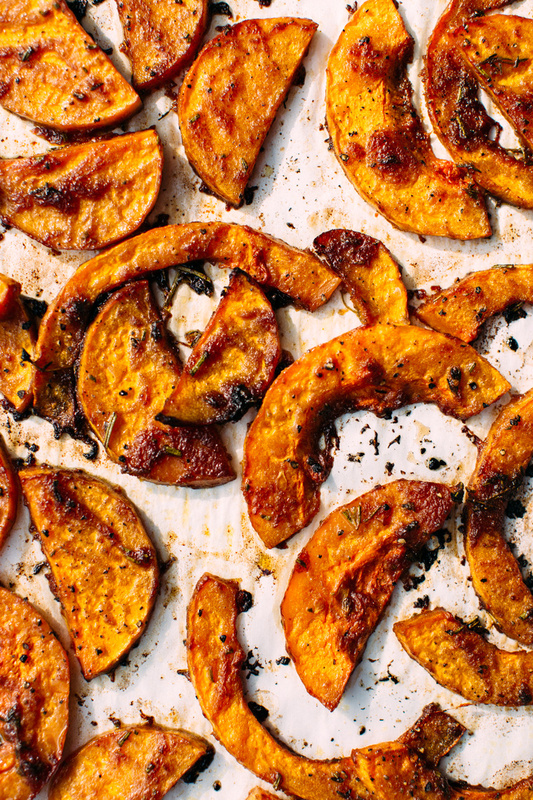 I love that you added red miso to the butternut squash. I feel far removed from all the Thanksgiving festivities over here in Switzerland but it’s still fun to see what everybody is cooking up. Hope you’re enjoying the holiday Grace! I wish I could grab one! they look super tasty. i randomly stumbled upon this recipe and it looks delicious. One question, I do not eat any form of sugar or sweetener, do you think it would still be as good without the honey? Hi! Yes! It will definitely still be good without the honey! 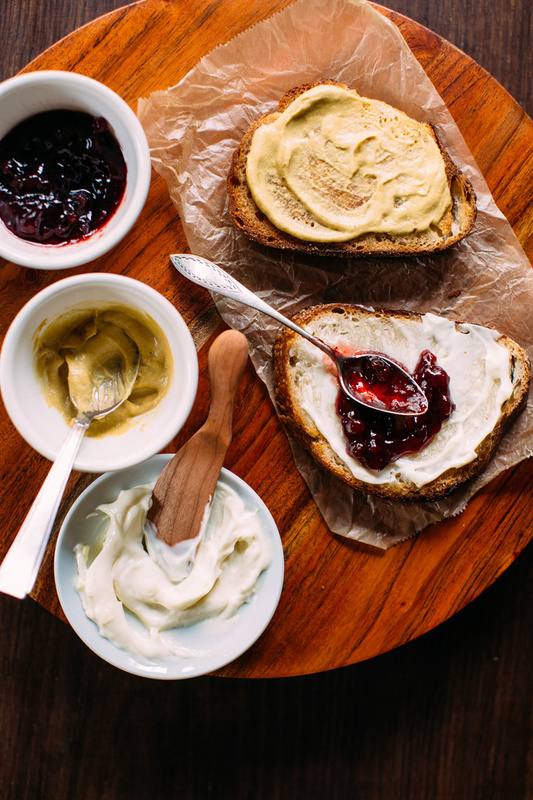 This sandwich has so many yummy flavors you surely won’t miss it!